Beautiful winter scene. A snowy road and trees. 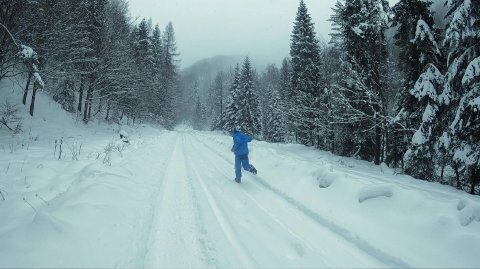 A boy is running towards the snowy mountains and then he jumps into the snow. Slow motion.